The lavender spice chevre cheese is just one of the cheeses you can taste at Chattaroy’s open creamery this weekend. Becky Jasper has spent her entire adulthood tending to kids. A mother of five, Jasper's first career was as a social worker for DSHS. But four years ago, Jasper found herself spending more time with another group of kids: baby Nubian goats. Shifting gears, Jasper and her husband, Lon, started Chattaroy Cheese Company. 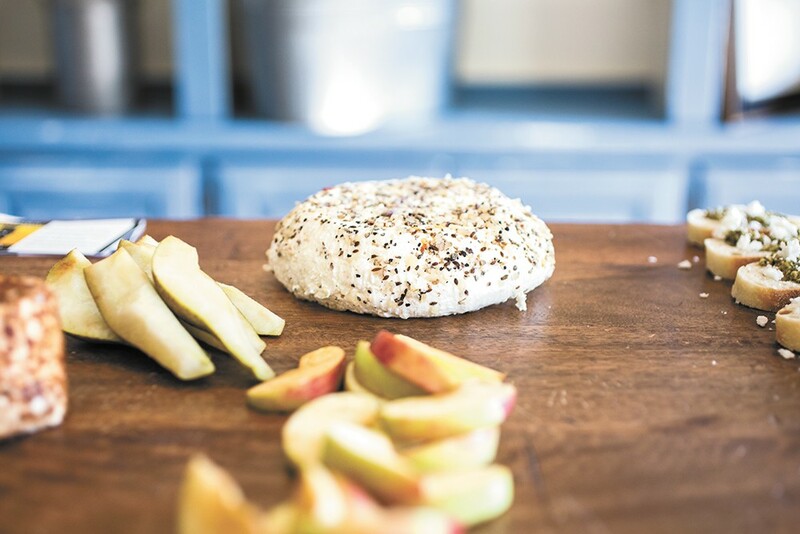 Tucked away on the banks of the Little Spokane River, the creamery produces some of the most delicious and popular goat cheese in the Pacific Northwest. The creamery is open this weekend for tours, tastings, live music and more. "I felt there was a niche in Spokane that was not being filled. There were small creameries everywhere but here," explains Jasper. "Cheesemaking is a completely different pace, in a more solitary environment. There's lots of time for reflection. It is a trade-off, as I miss the esprit de corps and humor of witty co-workers and the professional challenge inherent in that effort." Now, Jasper spends her days with her Nubians. The easygoing goats are precious commodities, but they are also like family; each pasture-fed goat even has a name. "They're characters. Goats have been tested recently and they're more intelligent than anyone thought. I've only had Nubians, but was surprised to find out that different breeds have different personality traits," says Jasper. "Nubians are talkers. In the early spring I help birth the animals and hand-milk the moms. The new kids are so sweet." Jasper's cheesemaking skills were developed over the years as her natural curiosity led her to try her hand at making homemade cheese. "I was really late to the whole idea of cheese. I thought it was a really complicated process and wouldn't be as good made at home," says Jasper. "One winter I just started making a whole bunch of cheeses in my house — Brie and Camembert — and they were all really good. I took a couple of classes and looked into the business side of it." After three seasons of 16-hour workdays, the creamery has hit its stride. Hiring extra help has eased some of the workload. Jasper's right-hand woman, Shire Campbell, partakes in almost every aspect of the creamery's operations, including marketing and sales, working farmers' markets and tending to and milking the goats. "I've always loved animals. Animals are my first love, but I love cheese," says Campbell. The cheese itself is something to savor. The creamery features assorted flavors of fresh, soft chèvre, brined feta, dry mozzarella and cave-aged cheddar and basalt, the creamery's popular ode to Parmesan. Each cheese is distinctive and ready to use in a variety of cuisines. "I don't think I do anything particularly gourmet. When I don't have time to cook we just keep it light and easy. We toss the chèvre in salads and eggs. We make a delicious eggplant Parmesan with our mozzarella and basalt," says Jasper. Light and slightly acidic, the creamery's cheeses are pleasing and sweet. The funk or gaminess that some goat cheeses possess is noticeably nonexistent. Jasper credits the sweetness to a number of factors. "Our creamery has to be really clean. Does are not naturally smelly animals, so keeping the barns clean matters. Bucks can be smelly in the fall. We keep the does and bucks far away from one another," says Jasper. 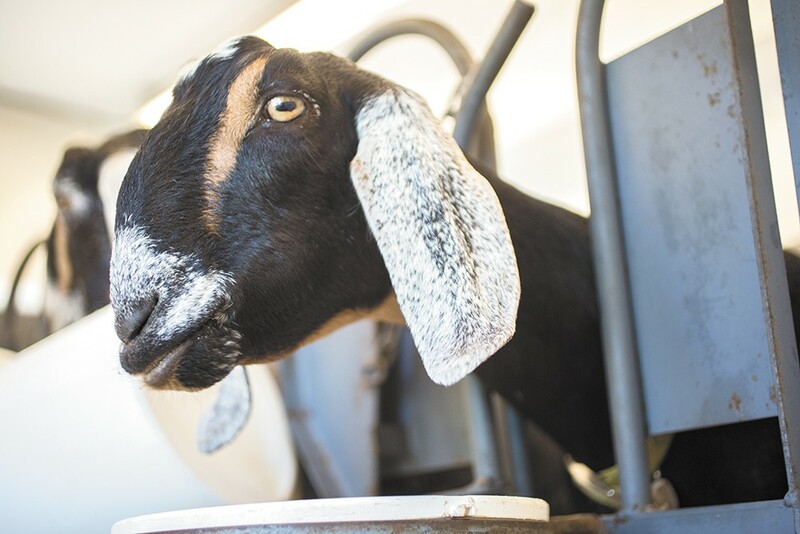 "We also cool the goat milk really fast and make cheese within 48 hours at the latest," she continues. "In our high season, we make cheese almost every day. The milk goes directly into the pasteurizer, which doubles as a cooler. Really good milk gets cooled in about a half an hour. Keeping it fresh and cold makes a huge difference." Campbell has her own take on why the milk and cheese are so delicious.